Sensei Jenn has moved to Fort Leonard Wood, Missouri. Good luck! Sempi Todd will continue teaching the Grappling classes. Testing under Master Stengele, Sensei Jenn was promoted to Yodan (4th degree), and Sempi Dan to Sandan (3rd degree). Nancy and Tim passed their test and received their Nidan (2nd degree) Black Belts. 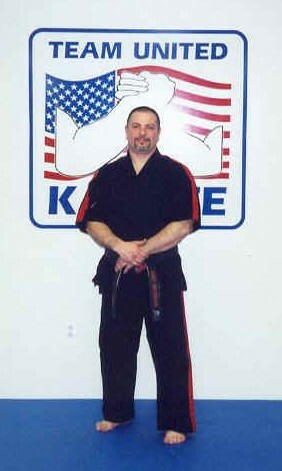 Dave was promoted to Brown Belt. Corinne was promoted to Blue Belt. April 2005: Nancy and Tim promoted to Joshu (level 1). 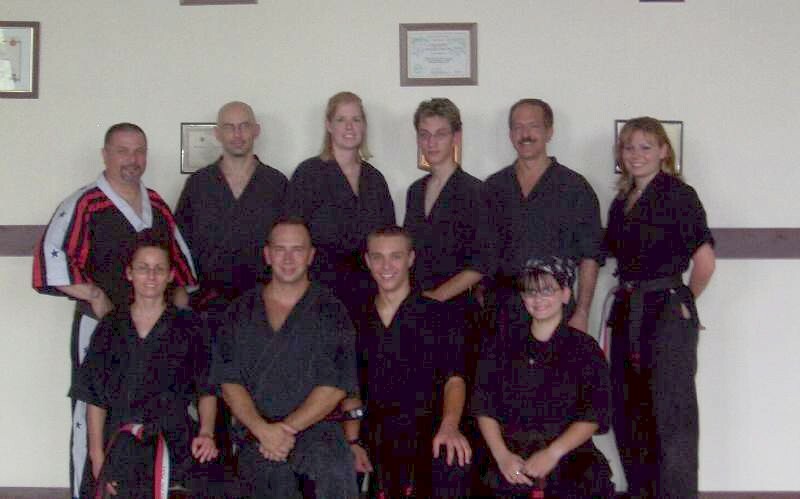 Since 2002, Team United Karate has been training students in Martial Arts. Our style combines traditional karate, self-defense, and sparring techniques. Located conveniently off Route 378 near Historic Bethlehem, Pennsylvania, we offer training to both adults and children. These goals continue to guide Team United Karate. Classes are taught by Sensei Jenn Hittinger. 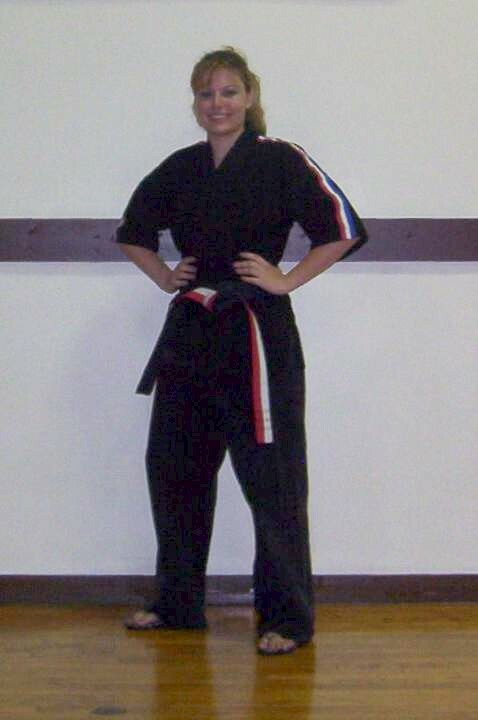 Sensei Jenn has more than 14 years experience training in and instructing martial arts. Her experience in karate, tae kwon do, and jiu-jitsu provides the foundation for learning at Team United Karate. Team United Karate’s recipe for success utilizes a combination of strong techniques, vigorous workouts, and caring instructors. Team United Karate's instructors realize that each student enters into a karate program with different goals and objectives and that it is their responsibility to know the goals of each student and help them to achieve. It is an old saying that "a student doesn't know how much his instructor knows, until he knows how much his instructor cares." This philosophy is what motivates our instructors to care about each student in a way that is second to no other Martial Arts system. The students learn to defend themselves, improve their physical conditioning and mental awareness. Through Martial Arts training students improve their self-esteem, confidence, discipline, focus and develop leadership qualities that help to give them an overall winning attitude. Contact Sensei Jenn to schedule 2 Free Introductory Classes!